Nord Games was founded by two brothers, Andrew and Christopher Haskins. 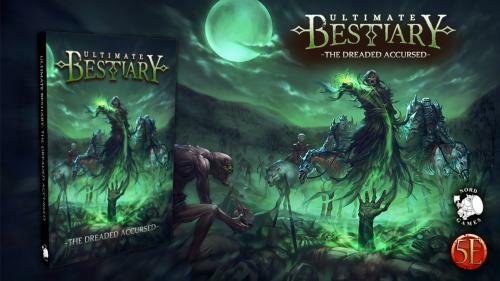 They had been playing all manner of board games, card games and RPGs for years and decided to start designing and publishing their own in mid 2011. They have designed many games across different genres. 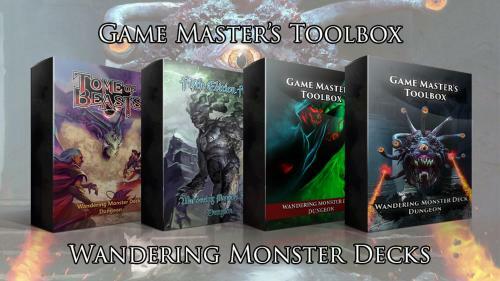 The company has been creating products for its 'Game Master's Toolbox' since 2015, with the creative direction and workload split across continents - Chris in the USA and Ralph and Lou in the UK. 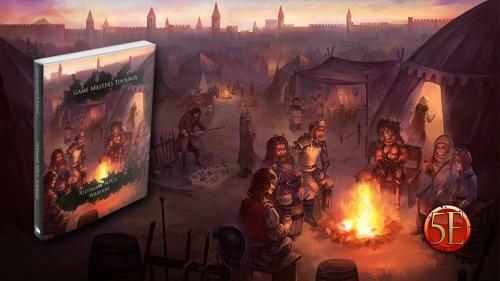 Currently, Nord Games uses Kickstarter as a means to fund the initial production of each of their titles. Over 130 new horrific monsters to add to your 5th Edition game! 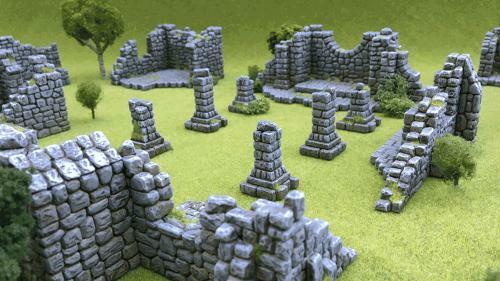 More details, more options, more variations, more fun! Treacherous Traps for 5th Edition! 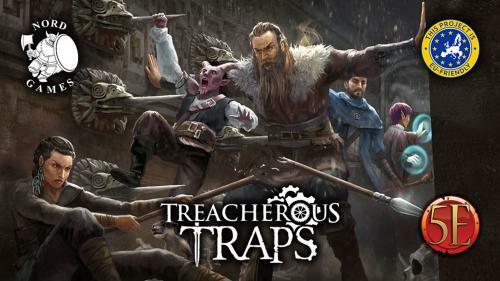 The ultimate resource for creating and using traps in your 5th Edition games! 250+ pre-built traps plus a random trap generator! 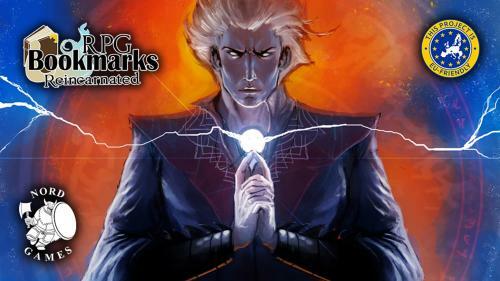 Fantasy RPG Bookmarks Reincarnated System Neutral Only $10! A beautiful and functional collection of bookmarks for your favorite fantasy tabletop RPGs! Each pack designed for both Players & GMs! Objects of Intrigue Card Decks for 5th Edition! Only $12! Add intriguing objects to your games! Cards can be drawn pre-game as inspiration, or during your game session to drive story and plot! 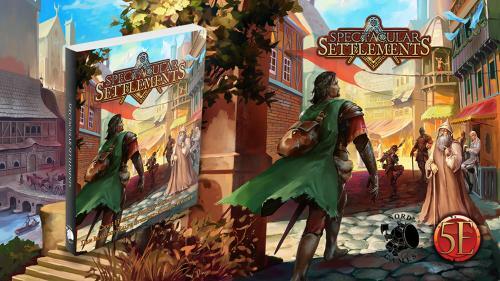 Spectacular Settlements for 5th Edition! The ultimate guide to creating amazing trading posts, villages, towns, cities, and capitals populated with versatile & detailed NPCs! 200+ pages of excellent NPCs and pre-built characters at level 1, 4, 8, 12, 16, and 20. Statblocks, roleplaying cues, stories and more! 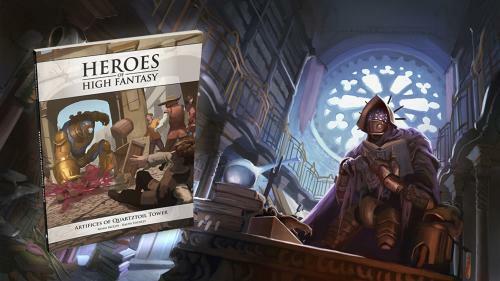 Artifices of Quartztoil Tower - 5E Adventure - Only $10! An exciting 3-5 session adventure playable at any level for use as a side quest or part of a main storyline! Wandering Monster Decks for 5E and Pathfinder! Only $12! The perfect accessory to randomly generate interesting and appropriate monsters to challenge your players and always keep things fun! 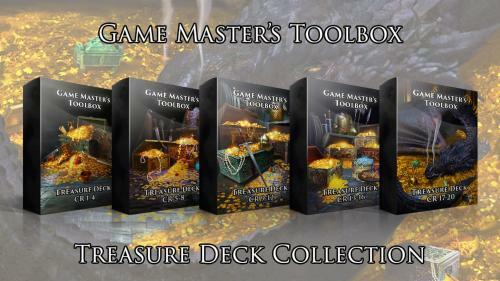 Treasure Decks for 5th Edition - Only $12! 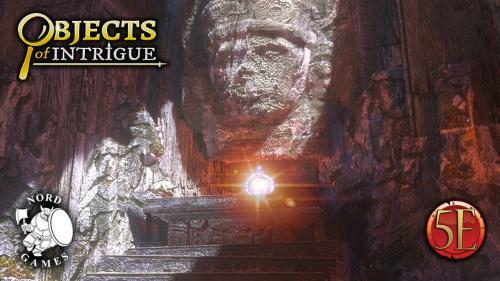 Add exciting loot drops to your CR 1-4, 5-8, 9-12, 13-16, and 17-20 encounters! Each deck has over 200 possible outcomes!